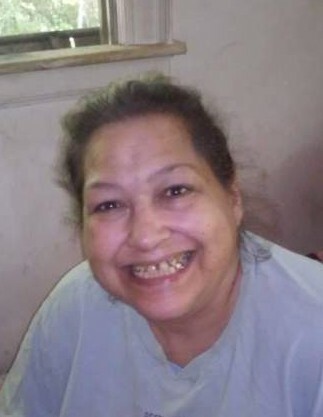 Catherine Helen Poole, 54, of Old Fort, passed away on Saturday, February 2, 2019 at Mission Hospital in Asheville, NC. She was born in Boston, Massachusetts on November 22, 1964 to David Poole and Blanche English. Catherine was a very strong woman, and was a wonderful mother, and grandmother. She had passion for crocheting and working on puzzles, but was especially fond of her black and white TV. Left to cherish her memory are her four children, Danielle Wood and husband Josh Caviness of Old Fort, Jonathan Poole and Nathan Poole both of Marion, and Hazel Poole of Old Fort; five brothers, John Poole, Edward Poole of Massachusetts, David Poole of NC, Norman Poole of Massachusetts, and Vincent English of Massachusetts; a sister, Jill Cargill of Massachusetts; and four Grandchildren, Sarah Williams, Austin Wood, Anthony Caviness and Alexis Caviness. Funeral services will be held at a later date. In lieu of flowers, memorials may be made to the American Heart Association at 7272 greenville Ave, Dallas TX, 75231.